Latin drums and percussion have a lot to do with the music of Afro-Cuban descent, which itself is strongly influenced by West African Yoruban music. 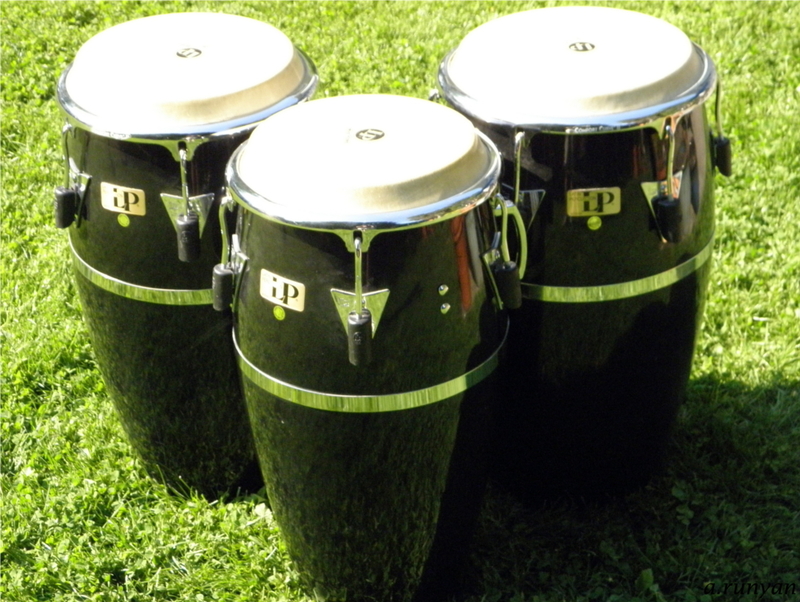 Congas are a set of Afro-Cuban hand drums that come in three sizes called Quinto, Conga and Tumba (or Tumbadora). 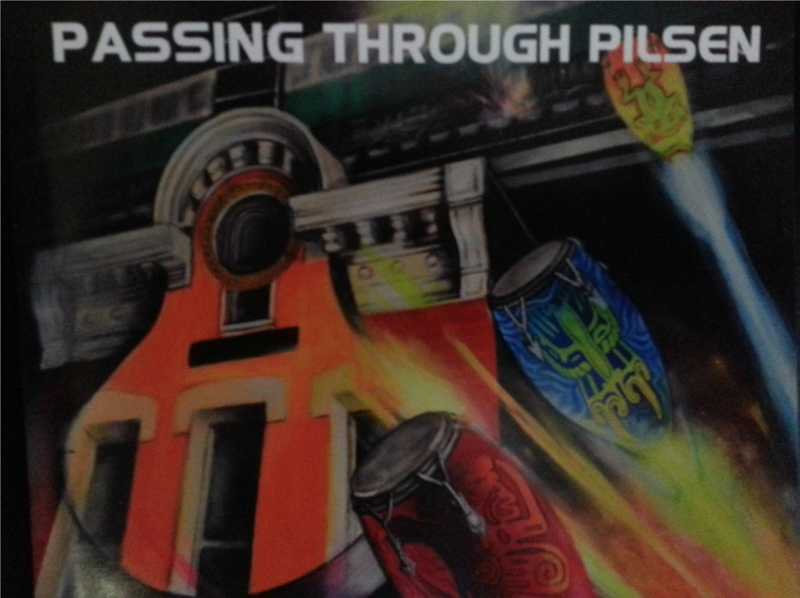 In the folk setting of rumba drumming, each is played by a separate player. 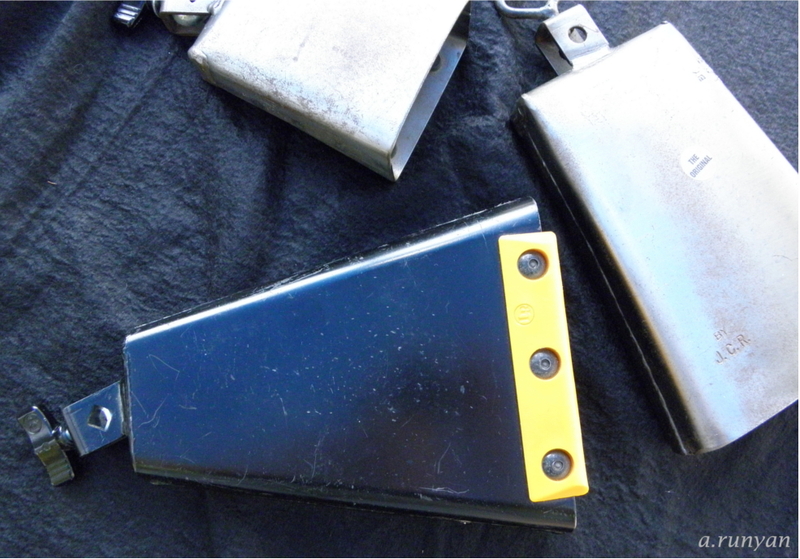 In a contemporary band setting, one player may play all three as a set. These are a pair of small drums connected by a block and held between the players knees. They were developed in Cuba and are played with a special technique involving fingertips, the thumb and whole hand. The higher pitched drumhead is called "macho" and the lower pitched drumhead is called "hembra". They are also occasionally played with sticks. The basic pattern used in salsa and son montuno is called "martillo" (meaning hammer due to its steady pattern). 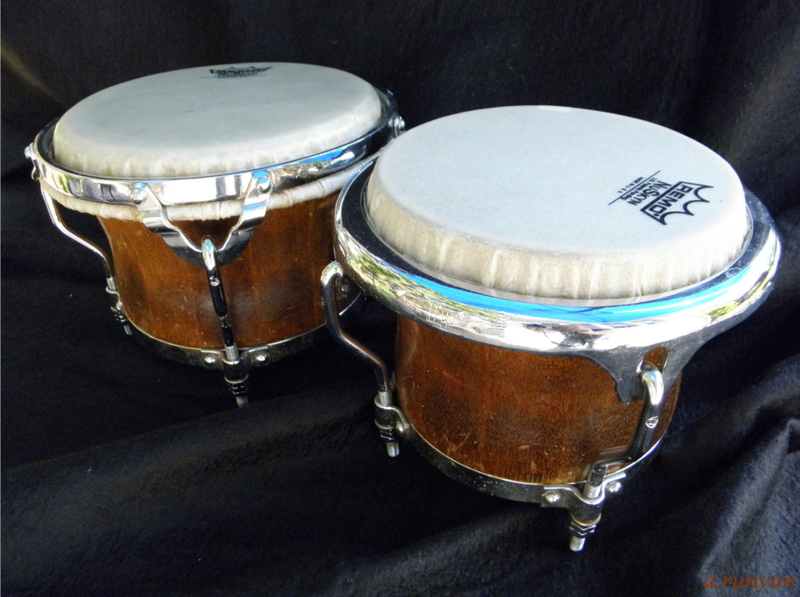 The timbales evolved from the tympani (or kettle drums) of the symphonic orchestra within the Afro-Cuban music development. There is a small post in between the pair of drums that is where cowbells and blocks may be mounted. 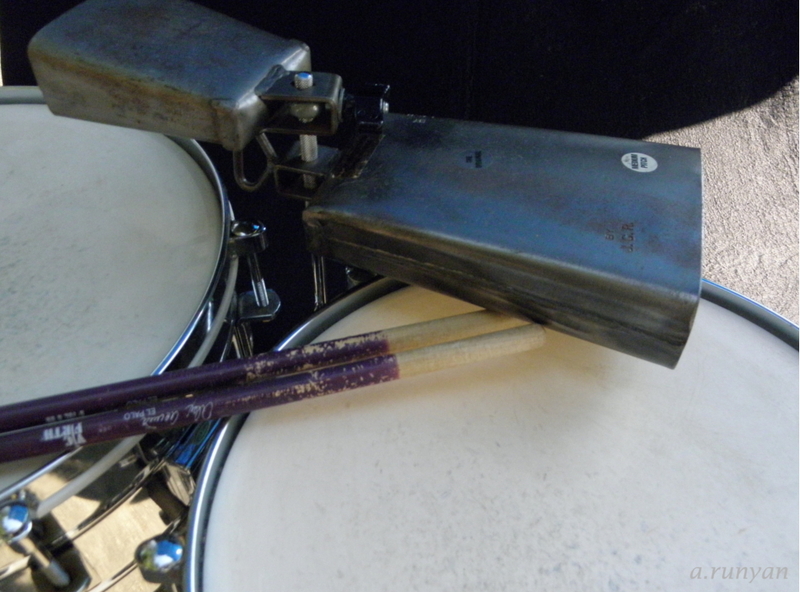 The timbale player uses a variety of tones. 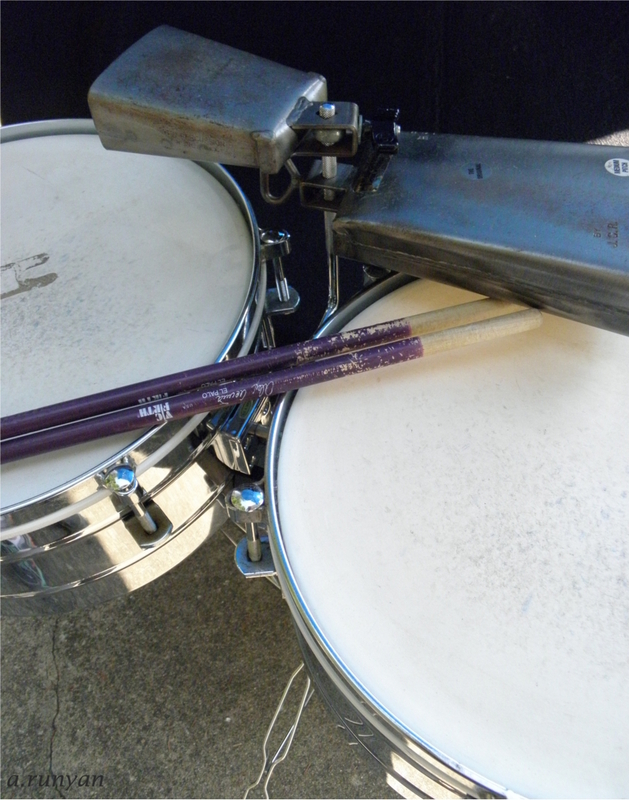 Playing a stick against the side of the metal drum shell is called cascara and is used frequently for time keeping in salsa styles. The smaller of the two drums is called macho and is usually played with a stick using either a rim shot or an open tone. The larger drum is called hembra and is usually played using the open tone with a stick or the hand (the player may also use a press or muff tone on the hembra). 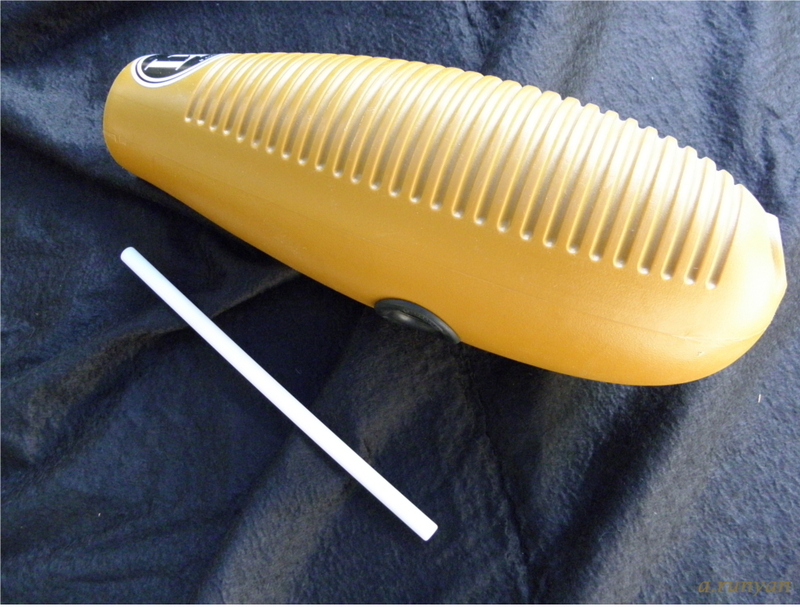 The guiro is a hollowed gourd with grooves etched in a row on one side that is scraped with a stick along the grooves in downward and upward strokes to create raspy rhythmic scraping sounds. The timbale player and the bongo player typically both play bell patterns along with their drums. Some of the typical bells used are called the chacha bell, the mambo bell and the bongo bell. 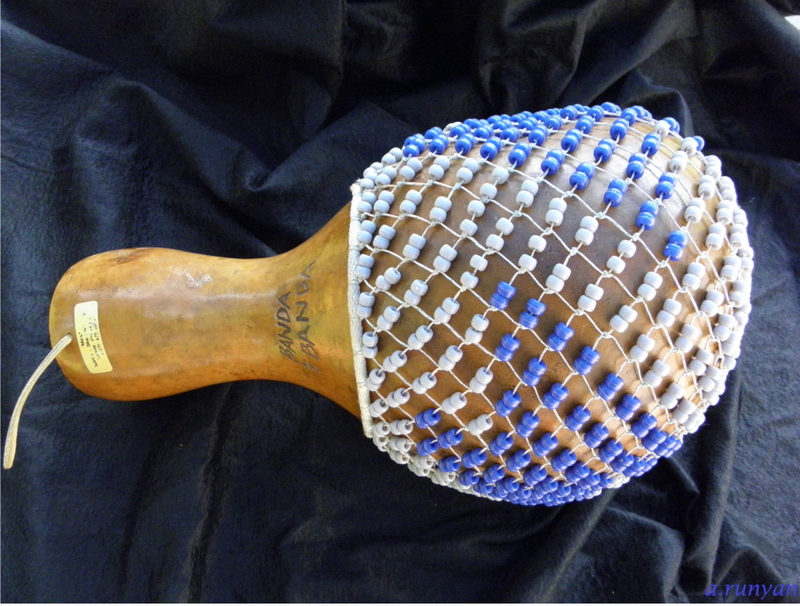 The shekere is a large gourd, hollowed and wrapped with a beaded net and played with side to side movements and contact with both hands to create a series of tones. 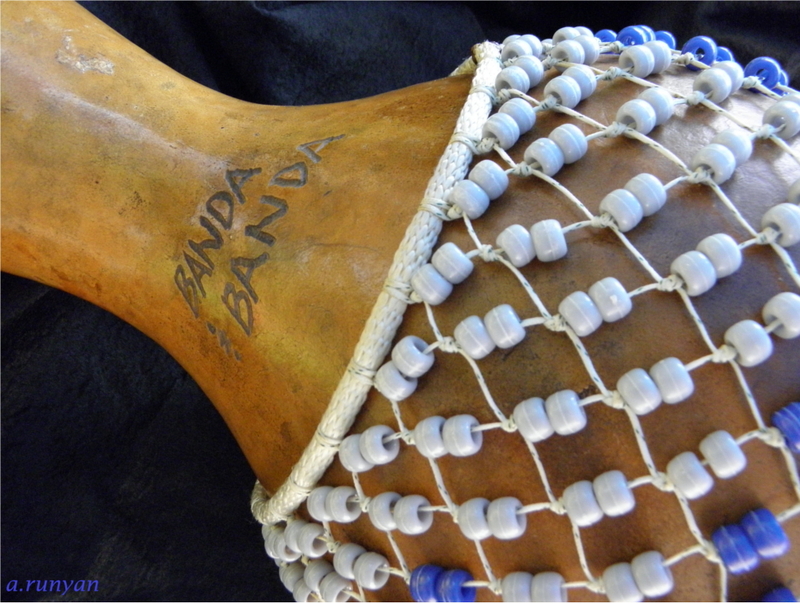 Both the beads striking the gourd and the hand striking the gourd create distinct sounds. Maracas are shakers with handles that are played in pairs typically. As they are shaken, beads within the hollow maracas shake and strike the inside walls to create percussive sounds. They are used to create repeating rhythmic patterns to support the rest of the Latin percussion ensemble.